This super fast-paced workout is 3 minutes of lower body cardio, 2 minutes of upper body strength & 1 minute of ab-shaking core. Repeat that for 5 rounds & you'll feel this calorie-crushing format the next day! 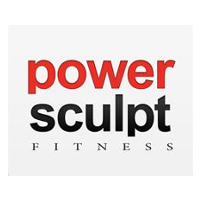 There are no upcoming “3-2-1 Sculpt” classes on this day. The format was interesting and challenging but there were other issues. The music was really loud and the microphone did not compensate for it. Despite being really close to the instructor I could not hear what the exercises were which was a problem considering how fast the changes were. Quick efficient workout. Fatigue didn’t set in too much with the 3-2-1 format, and each round was different so lots of variety. I love the fast paced energy of this class. The cardio like the squat jumps and the football runs gets a little repetitive after a while. Good class structure. The transition between cardio and arms and abs provides minimal rest but youre so sweaty and sore in a good way! This felt like a barre class. We worked the same muscle for 2-3 minutes with light weights for that burnout feeling. There was zero form correction. Clients were encouraged to keep going even though form looked unsafe. Fast paced. Work a lot of areas in a short amount of time. Good sweat! Great workout. Sweat a lot. Worked he whole body in 30 minutes! Meredith motivated us the whole time.